"Of course, the frustration is there," said Chief T.J. Smith, the police spokesman. "You see the moments of hope, and we haven't given up hope, certainly. ... Then you have these unfortunate moments, these spates of violence." 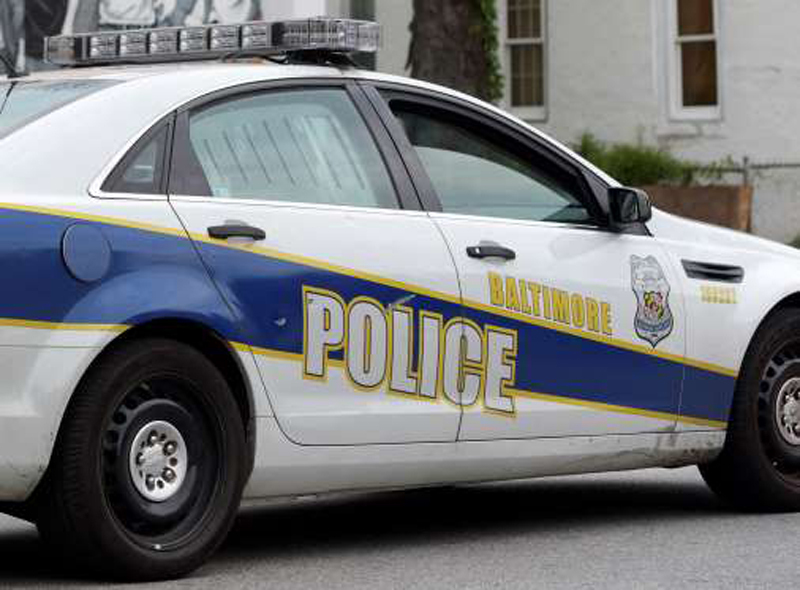 Police blame some of the recent bloodshed on a war between two West Baltimore groups. The Western District, the department's smallest, has seen the largest share of violence this year: 18 people killed, more than double the total in any other district. Nine people were killed there in the past 30 days. Commanders across the department have deployed additional officers to try to quell the rivalry. "I don't want to get too specific," Smith said. "We are aware of who they are." Police worry that the killings of Chanette Neal, 43, and Justice Allen, 22, could set off retaliatory violence. Unknown killers kicked in their back door and shot the mother and daughter to death two weeks ago. Prosecutors had accused their son and brother, Antoine Benjamin, of participating in a murderous West Baltimore drug crew. But they dropped a murder charge against him last week. He still faces a gun charge. Benjamin's attorney, Jeremy Eldridge, said his alleged crimes have nothing to do with the killing of his mother and sister. Pinky Louise Ruffin was killed by stray gunfire last weekend. The 65-year-old grandmother was shot on her porch. Police said the bullets were intended for Marques Patterson. The 22-year-old was also killed in the attack. In the days after, police dispatched additional officers to try and stem the rising violence. As mourners gathered in Park Heights for a viewing for the mother and daughter, police deployed a command truck, SWAT officers, patrol cars at both ends of the block, and an officer standing at front door, as a precaution. Officers last week went after people with open warrants. They served 26 warrants, Smith said, and arrested and charged one man in a killing in February. "It's a range of things we're doing to go after people who are potentially causing some of the problems we're seeing," Smith said. Walter Baynes, 30, was shot to death, and his grandfather, George Evans, 69, was critically wounded last week outside the family's home in the 1700 block of North Regester Street. A man who answered at the front door the next day declined to comment. Police arrested and charged 17-year-old Eric Gilyard with murder in the shooting. He was jailed without bail, and there was no attorney was listed for him in online court records. Smith said officers found a loaded gun in Baynes' pocket. He said Evans was a bystander. A neighbor said she heard the shots. "They stopped, then came again," said the woman, who declined to give her name out of fear for her safety. Outside her window, she said, she could see the two men down on the sidewalk in front of their home. The woman said she's lived on the block 27 years and the Evans family has lived there as long. She said Evans and his wife had raised Baynes since he was a child. Larry Weaver, Evans' nephew, has said his uncle was probably trying to protect his grandson when he was wounded. Weaver said Evans would often sit outside on his stoop. "The whole neighborhood knew him," Weaver said. The neighbor said her street in the Broadway East neighborhood had been spared violence that has hit other parts of the city recently. "I was surprised myself" to hear gunfire outside her door, she said. "It's west, east, south, north. It's all areas. You can't predict when it will happen next." Rona Brand, 54, and Clyde Burrell, 66, were found shot inside the family's home in the 1700 block of E. Federal St. earlier last week. Police charged Brand's nephew, Tavon Brand, who was living in his aunt's basement, with first-degree murder. He did not have an attorney listed in online court records. The North Regester Street neighbor said she feared there would be more violence. "You never know when they come back and retaliate," she said. "They are all young. They get in their gangs. You can't tell them nothing." Officers were called Friday morning to the third daytime shooting in three days. They found a 34-year-old man shot in the 1500 block of Madison Avenue in the Madison Park neighborhood. He later died at the University of Maryland Shock Trauma Center. Homicide detectives at the scene were talking to the owners of a nearby corner store in the hope that the shop's surveillance cameras might offer clues. City Councilman Eric Costello watched the officers. He said he responds to the all the shootings in his district. Until Friday, he said, his council district had been spared any killings this month. "It's too much violence," he said. "It's senseless." Police asked anyone with information to contact homicide detectives at 410-396-2100 or Metro Crime Stoppers at 1-866-7LOCKUP.